Should You Let Business Travelers Book on their Own? 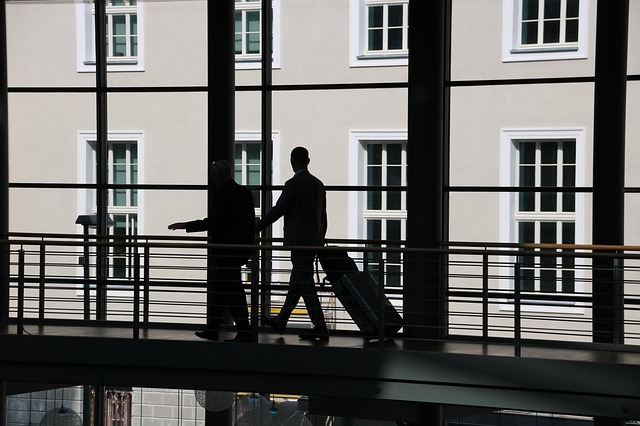 What kind of trouble could business travelers get in if you cut out the corporate travel arranger at your company and booked your own business travel? Is it encouraged, or are you required to use the corporate travel office at all costs? The ubiquitous nature of apps and websites for locating budget hotels, ride-sharing options, and flights make it easy for people to take charge of their own travel logistics. This is something corporate accountants and managers are having to choose whether to accommodate or penalize, and the problem is only growing. While having someone else attend to your travel arrangements used to be a luxury, a bigger issue is that those doing the booking may know nothing about the city, the proximity of the airport to the client, and the logistics required to get from the client to the hotel they’ve booked. The person who makes that kind of trip on a regular basis is by far the more knowledgeable authority on the subject, which makes him or her the logical choice to make the arrangements. But companies are concerned that letting business travelers book their own travel arrangements may give them less leverage when negotiating corporate rates for hotels and car rentals if they can’t show that their personnel is using them. 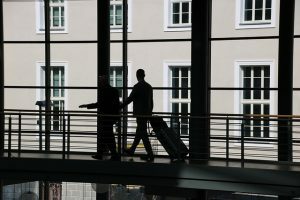 However, according to research by Egencia, the corporate travel management subsidiary of Expedia, business travelers often book outside their company’s stated travel policy, especially when procuring lodging, because they need to be closer to their client or because they found a better price than their company’s corporate rate and can pocket the per diem difference. Road warriors need freedom to orchestrate their own itineraries in order to maximize their time out of the office. Giving them this latitude would reduce staff overhead, eliminate confusion, and utilize the business traveler’s knowledge of the cities and the accommodations in each. Why should a travel manager who doesn’t travel tell the employee where to stay and what time to get there? There are times that road warrior may end up cooling their heels for several hours in an unfamiliar airport because the corporate travel agent wanted to save $30 or make sure their traveler used the right airline. For those who have control over the details of their travel budget, TravelBank has produced an app that helps estimate trip costs and customize their trip to anticipate and respond to upcoming expenses. TravelBank even rewards users when their trips come in under budget. For example, when a user’s bottom line comes in $500 under the budget, they receive $250 in credit to use with its partners in the travel industry with whom they’ve negotiated rates that rival those that corporations procure for their employees. At Travelpro, we have the best of both worlds. I investigate my own schedule — optimal flight times and finding the hotel that’s closest to the client — and then communicating that to our travel manager and asking that they make every effort to book what I’ve requested. So far, it’s worked out great, and I’ve been very happy with the arrangement. As long as business travelers know and comply with the company’s travel policy, allowing them to secure their own reservations only makes sense. But it also makes sense to let your road warrior experts blaze their own trail, as it were, because they already know what they’re doing. Business travelers, o you book your own travel or do you have a corporate travel agent doing it for you? What has been the most efficient use for you? Share your ideas with us in the comments below, on our Facebook page, orin our Twitter stream.